An inspection of a care home in Dewsbury, West Yorkshire, found that residents were at risk of Legionnaires’ disease due to serious issues with the water system. Legionnaires’ disease is a life threatening respiratory illness contracted by inhaling water droplets containing Legionella, the bacteria that causes the disease. Water system regulations exist to ensure that Legionella, a naturally occurring water borne bug, is not allowed to grow unchecked within a water system. The risk of Legionnaires’ disease is the latest failing identified at Aston Manor in Moorlands Road, where management have been given six months to improve or risk being shut down. The residents of the care home mostly need close supervision and often need assistance with basic care needs. Last year, the home was rated as inadequate after inspectors found faeces smeared in many places including carpets, walls, furniture and handrails. During three inspections in recent months Aston Manor has been rated inadequate in four out of five categories. Inspectors concluded it was not safe, not effective, not responsive, not well-led and not always caring. The latest report recorded multiple breaches of the Health and Social Care Act 2008 however the presence of the Legionella bacteria in the water system was significant and gave rise to particular concern. 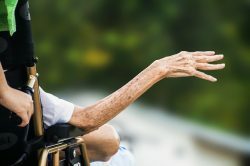 Legionnaires’ disease is life threatening but those most at risk are people who are elderly and infirm – typically the very people who reside in care homes! An external contractor carried out a risk assessment at the home and advised that it was “very likely” that the Legionella bacteria would occur in the home’s water systems. Their report concluded that the risk of the occurrence Legionella bacteria in the water systems appeared “to be out of control”. Other failings identified at the care home included resident care plans not being read, inadequate recording of the support people had received and actions not having been taken to ensure people’s end of life wishes had been recorded. The competence of managers was questioned and clearly procedures were not effective in maintaining the best interest of residents. In an environment such as a care home or a hospital, there are constant challenges and the pressures can be enormous. There is no excuse for cutting corners. When health and safety is neglected, lives are put at risk. The last thing anyone wants to see is unnecessary loss of life. No matter how many challenges there are from time pressures to budget constraints, safety is paramount. Assessments, surveys and inspections are there to ensure people are free from the risk of harm. By identifying where improvements are necessary, lives are saved. Is Legionella a risk in your water system? There’s only one way to be sure your water system is not providing a free pass for the growth of Legionella or other harmful bacteria. Book a survey. Surveys are not expensive and will highlight whether any remedial action needs to be taken to remain compliant with water regulations and keep people free from risk. If you would like more information about water safety and management you can contact Operations Manager, Martin Hillam, at Water Compliance Services, on 0800 1303221 or email info@watercompliance.co.uk. Get in touch today for a free assessment.